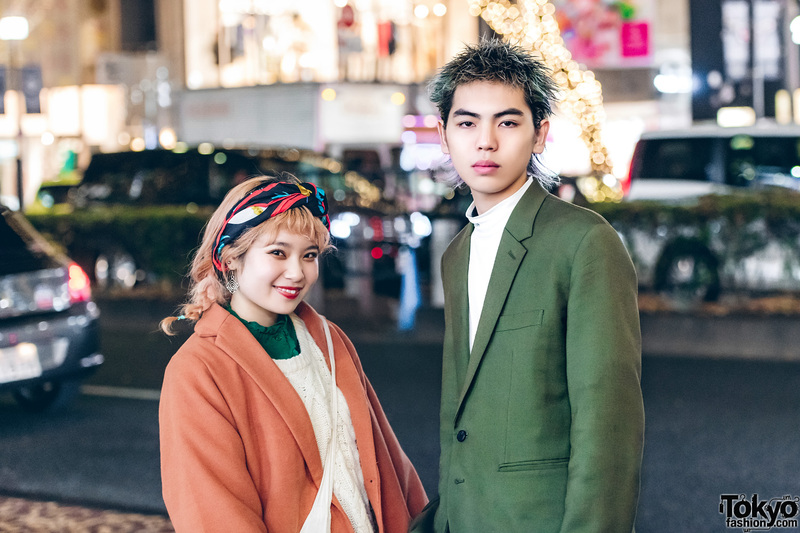 While out and about the streets of Harajuku one evening, we met Ayumu and Ema, both beauty school students who caught our eye with their streetwear looks. 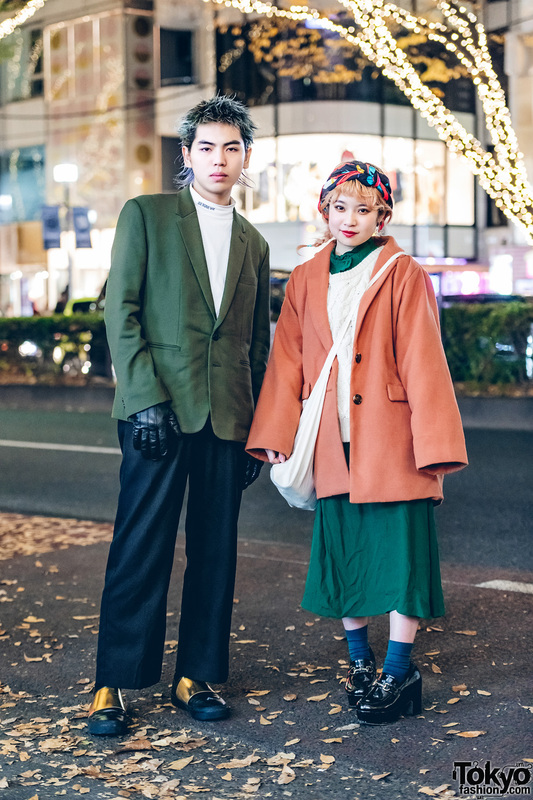 18-year-old Ayumu is sporting a minimalist look which features an olive green Littlebig blazer over a white turtleneck top from Essay, black pants from Bukht, and black and gold loafer shoes from Jimmy Choo. They accessorized with black leather gloves. 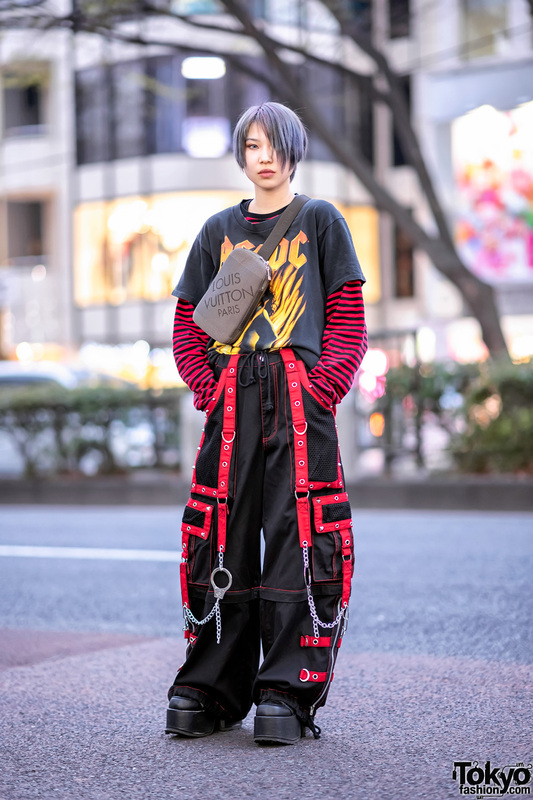 Ayumu’s favorite brands are Sub-Age and Cannabis, and they like to listen to Radwimps. Follow Ayumu on Instagram. Meanwhile, 19-year-old Ema is wearing an orange vintage coat, which she wore on top of a white knit sweater and a green ruffle collar dress from H&M. 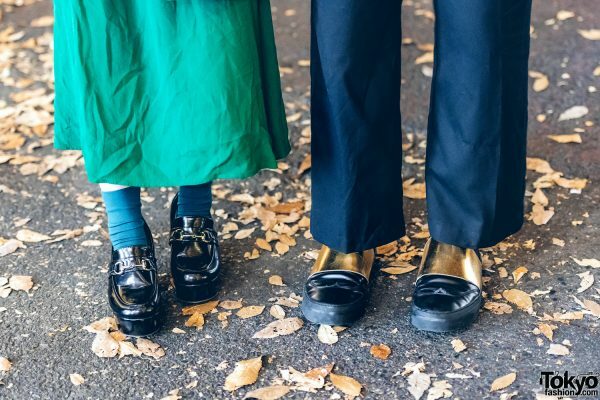 She finished off her look with blue socks, black heeled loafers, and a canvas crossbody bag. She accessorized with a printed head scarf and geometric earrings. 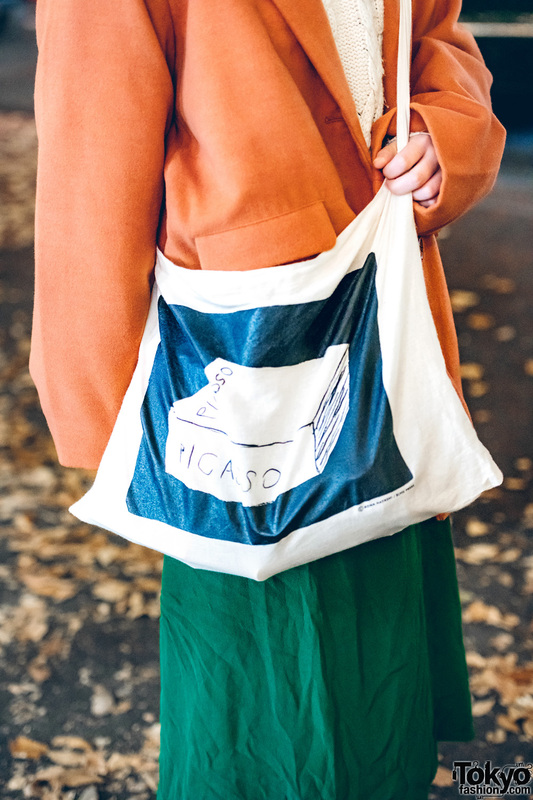 Ema’s favorite brands are Miel and Gucci, and she enjoys the music of Fujifabric and Radwimps. She also posts her street styles on Instagram.